The World Conference on Youth 2014 (WCY 2014) will take place from 6-10 May, 2014 in Colombo, Sri Lanka and focus on “mainstreaming youth in the Post 2015 development agenda.” Individual applications to attend the WCY2014 close on February 21, 2014. Senel Wanniarachchi, from the International Youth Task-Force, introduces the event and the organisers’ ambitions for the 1500 attendees and the impact on global policy. In 2000, when world leaders met in New York to sign the Millennium Declaration which enshrined the Millennium Development Goals I was only eight years old. My generation grew up and came of age with the MDGs. Little did I know that the outcomes of this declaration signed in a conference hall in a room across the world would shape (and continue to shape) our lives in many ways in the years that followed. Since 2000, primary school enrolment rates have swiftly increased, today 95 or 96 girls go to school for every 100 boys (a drastic improvement) and since 1990 1.7 billion people have gained access to clean drinking water. However, many MDGs remain far from achievable. In 2010, 12.8% of women in the developing countries still had an unmet need for family planning and 863 million people lived in slum conditions. Furthermore, globally inequality has actually increased since the establishment of the MDGs. Sri Lanka has made notable progress in achieving MDG targets, particularly in areas of achieving universal primary education enrolment and water supply & basic sanitation (WSS) Furthermore, in terms of youth development Sri Lanka has strong infrastructure in place including a designated Ministry of Youth, a strong National Youth Services Council, an island-wide youth clubs network and a Youth Parliament. Now, the MDGs have come and gone and we are about to witness the world transition to a new set of (yet-to-be-agreed) development goals. More than half the world (that is some 3.5 billion people) is under 25 years old. In the current MDG framework, young people are seen as the beneficiaries rather than partners. Development is often understood as something that is done for young people rather than with us. Youth account for a huge percentage of the most vulnerable and affected populations around the world. However, there is no UN Convention on the Rights of Youth or a UN Youth Programme or any other high-level body dealing specifically on youth issues. Current policy makers may not be around to see the true consequences of climate change or changing population dynamics. But these conversations will impact on young people’s lives and the state of the earth in years to come. This is why we need a seat in the Post MDG (also known as Post 2015) development agenda discussion tables. It is a good time to be young and Sri Lankan as the 2014 World Conference on Youth (WCY 2014) which will define the global discourse on youth engagement for decades to come, will be agreed upon and signed in Colombo. One of the criticisms of the Millennium Development Goals was that there was not sufficient consultation with different actors of the civil society about what should be encompassed in them. Furthermore, many targets in the MDGs are about what changes need to happen in ‘developing’ or global South countries and the focus for Western countries is the aid or programmes put in place to help this process. In contrast, the post MDG framework should be a development partnership as opposed to a donor and recipient relationship between Global North and Global South countries. The conference is organized by the Ministry of Youth Affairs and Skills Development of Sri Lanka (MYASD). 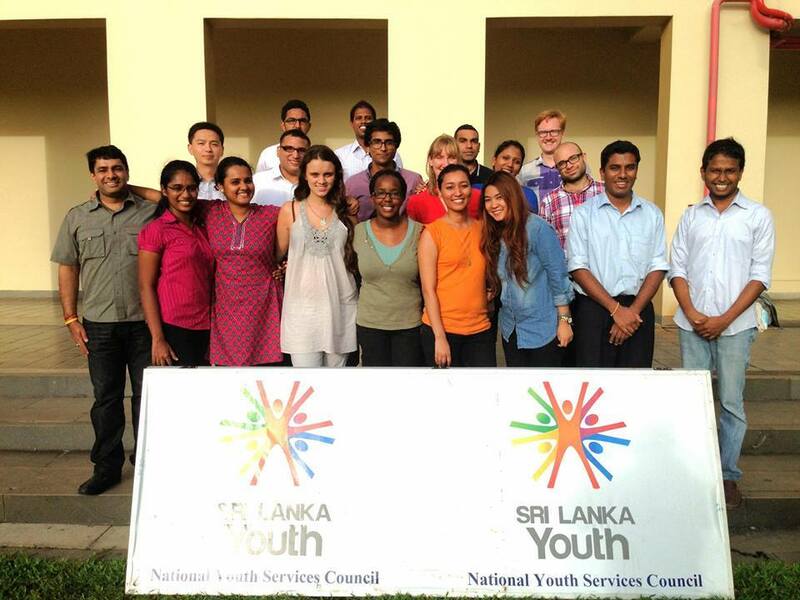 An International Youth Task Force (IYTF) appointed by MYASD is advising the Government of Sri Lanka on the conference. 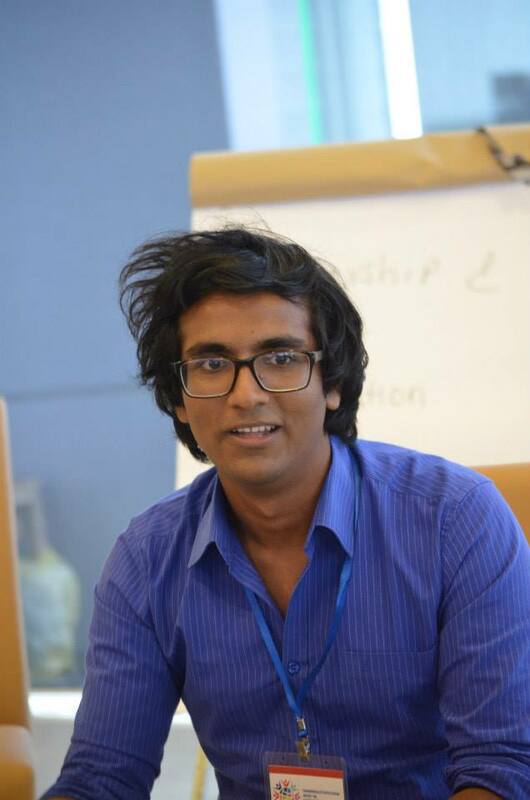 The IYTF comprises of 20 youth: 10 of whom are young leaders from around the world representing established international youth led and youth serving organizations and 10 young leaders from Sri Lanka. The Conference is expected to bring together 1500 participants, half of them young people aged 18 to 29 and 350 of them will come from marginalized backgrounds, making the conference one of the most well represented youth events at the global level. Two official youth delegates will be selected by the governments of each country. In addition to this, 350 more young experts and youth belonging to under-represented groups will be selected by the International Youth Task Force. Furthermore, as many as 100 youth delegates who are Sri Lankan nationals will be selected. Young advocates do not need to raise their own money to come to Colombo to attend WCY2014. In an unprecedented move, perhaps for the first time in the history of global youth engagement, the organizers of the conference have decided to underwrite all costs of the 800+ young people attending the summit. This means that not only young people from affluent backgrounds or youth backed by large organizations could attend the conference but also young people from the grassroots and from unrepresented and unrepresented groups such as youth from indigenous backgrounds and young persons with disabilities. In addition to the over 800 youth delegates attending the conference, the conference will also be attended by high-level government officials including government ministers working on youth issues, senior UN officials, academia, members of NGOs and other civil society organizations, media personnel and members of the private sector. In another unique feature, both young people and government officials will agree on and sign a joint statement called the Colombo Action Plan. This is one of the most important debates of our time. The framework agreed in Colombo guide future policies on youth not only in developing countries but around the world. WCY 2014 will change the course of history for young people around the world. Visit www.wcy2014.com to sign-up and for more information. You can also follow at @WCY_2014 and on Facebook.